What Opt-in is Best to Use? Having an opt-in on your website is very crucial for your business. So, if you still haven’t installed any, you better start having one now to help increase your email list and leads. 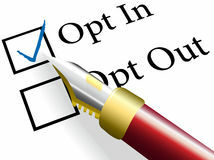 For those who already do, let me ask you this: Do you use double opt-in or single opt-in? When email address are mistyped, they don’t get on your list, hence, fewer bounced and less trouble with your internet and email service provider. People who confirm with double opt-ins end up more committed to the subscription. Confirmation emails usually end up in spam folders and never get checked. You might get the average number of bounces. neuroticocomic on Do You Advertise?